When a couple no longer wants to be legally married, divorce can dissolve the legal obligations of marriage. To divorce in Kentucky, couples must first separate, and then go through the process of marriage dissolution. 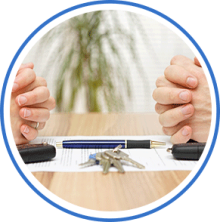 Understanding Kentucky divorce laws is important, so that you receive the retribution you deserve. In Kentucky, a couple must live apart or live under the same roof without engaging in sexual relations for 60 days. At this time, a decree of divorce can be filed. When both parties agree that the marriage is irretrievably broken, the court may proceed with the dissolution of marriage. If one of the parties disagrees that the marriage is irretrievably broken, a decree of legal separation may be entered into court. It is possible that the court will request conciliation conferences when it believes that marriage reconciliation is possible. After one year, that decree of legal separation may be turned into a decree of dissolution of marriage. As part of the divorce process, a couple will determine property distribution. Kentucky divorce law states that it’s an equitable distribution state, which means all marital property needs to be divided in half no matter the grounds for divorce. However, there are some factors such as duration of marriage, each spouse’s contribution to the marital property, and economic circumstances. The court determines alimony. Alimony is spousal support the spouse with the most income may have to pay to continue the same level of lifestyle as when married. The amount of alimony is based on many factors such as duration of marriage, condition (age, physical, and emotion) of the spouse seeking support, time to seek education or training, and more. While marriage may have started amicably, it often ends in disagreements. Spouses may believe they deserve more in the settlement, and they are unwilling to negotiate and compromise. For this reason, legal advice is necessary. Kentucky has implement divorce laws for this reason, and with so many situations that can occur in a divorce, it’s important to have someone by your side that knows the law and can use it to get you what you deserve in a divorce settlement. By calling a Florence Kentucky lawyer, you will be able to find out what you are entitled to legally. You could find out how long you’ll have to wait until you can be legally unmarried, what you could or could not receive as far as property distribution, and how much you will receive or need to pay for alimony. If you have to go to court to have a judge determine who receives what, a divorce attorney can stand up for you to make sure the judge is not swayed by misunderstandings coming from your spouse. Having someone that knows the law, can use the law, and represent you in the best light possible can ensure you do not become anymore of a victim of your divorce. You deserve justice in your divorce, so contact someone who can get that for you.